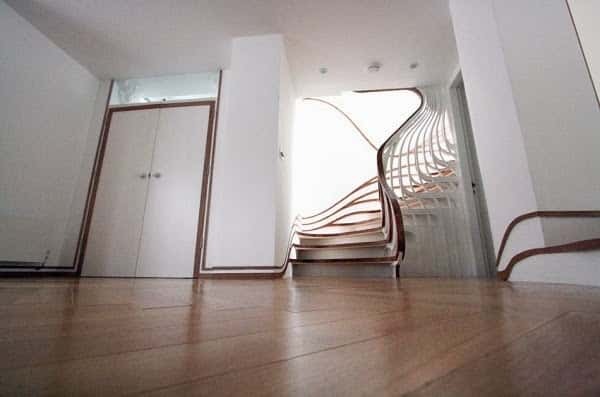 If you are looking to build a new home modern home today it might be worth looking back to 1890-1990 Art Nouveau architecture for inspiration! 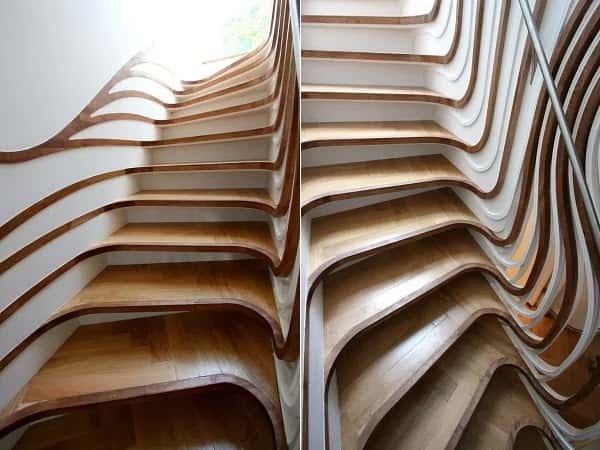 These Art Nouveau Stairs have been created by harnessing modern digital fabrication techniques to put a twist on popular 19th century Art Nouveau Design. 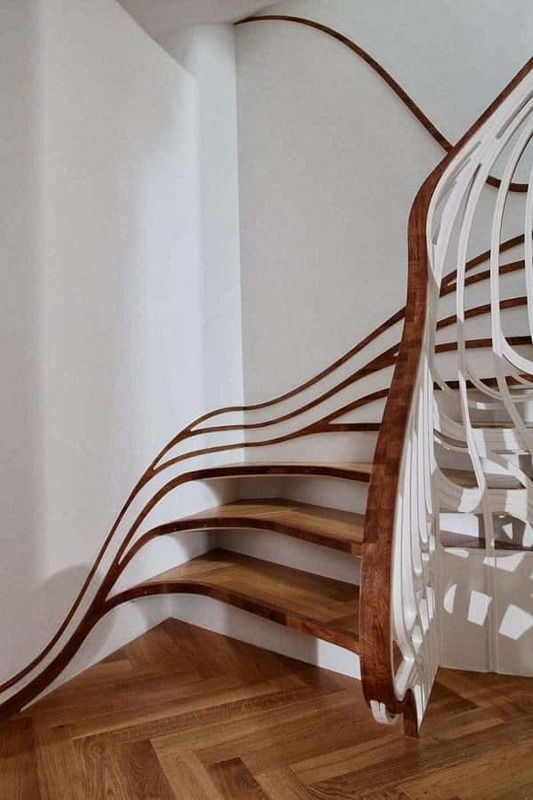 Art Nouveau architecture took cures from the free flowing curvy lines found in nature. 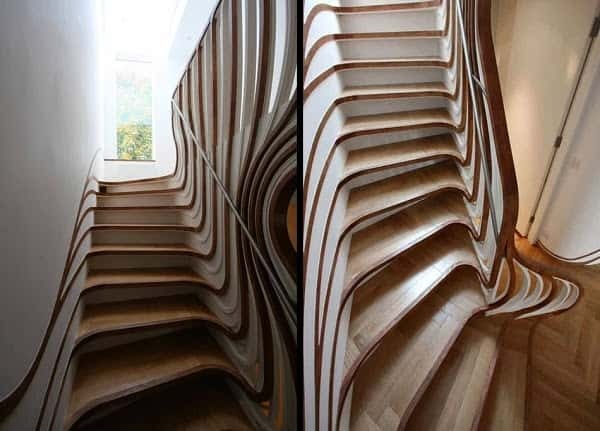 The sculptural qualities of these stairs allow endless light play on the stairs themselves and the walls they are against. 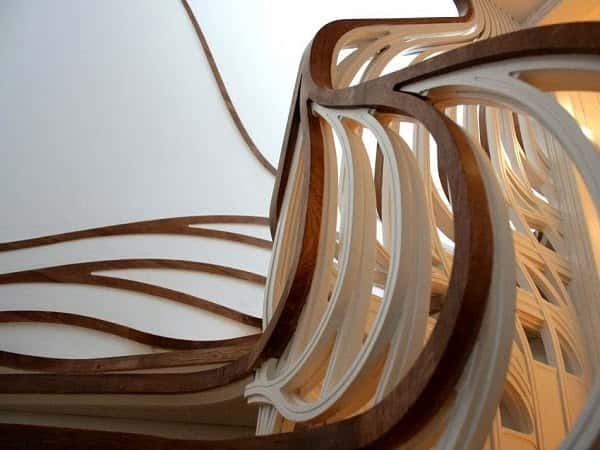 Because of these beautiful flowing lines the stairs remain interesting from every angle. 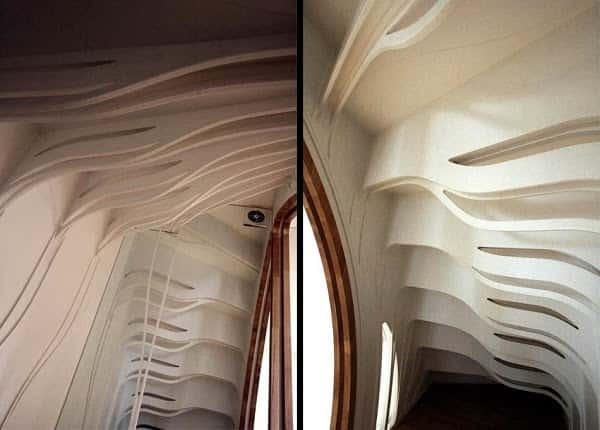 Architects working in the Art Nouveau style traditionally took a holistic approach to the design wanting the whole building to flow together. 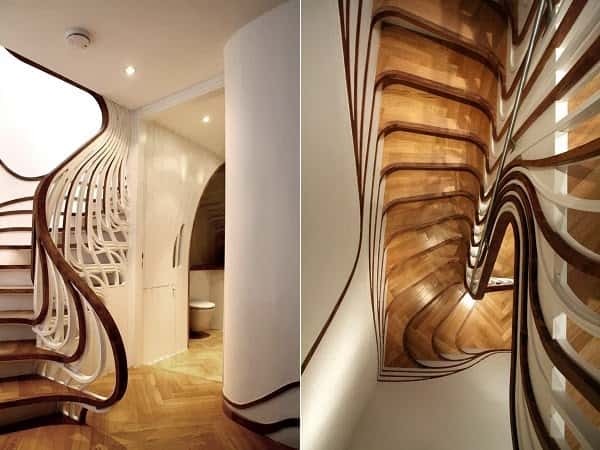 This holistic approach is what makes art nouveau architecture an impressive timeless design style.